Despite being known for low taxes, Texas has the 2nd highest property tax rate in the country according to a recent study. This state has an almost unique system for levying and collecting those taxes. Because of these unique circumstances, a consumer product has been created to help homeowners satisfy this tax burden without going into default or suffering penalties. 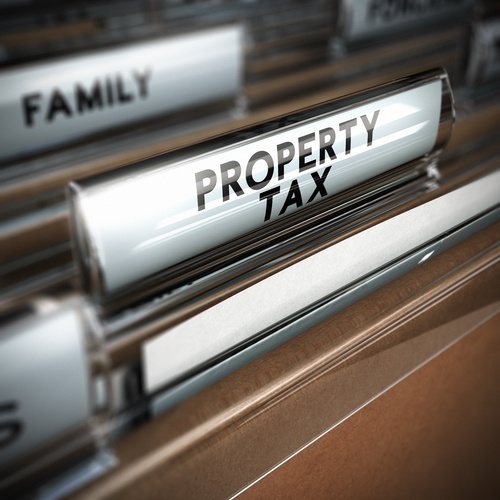 In Texas, property taxes are due at the time the tax bill is received. They are considered delinquent if not paid before February 1 of the following year. So if a homeowner gets a tax bill in November of 2017, technically the taxes are due at that time, but are not considered delinquent until February of 2018. Once considered delinquent, overdue taxes begin accruing interest at a rate of 1 percent a month (or 12 percent a year). Property owners are also charged a penalty of 6 percent of the tax amount plus one percent every month taxes are not paid. Then on July 1st, if the tax bill is still unpaid, attorney fees of 15 to 20 percent are added to the tax bill which really skyrockets the amount due. In certain circumstances, property owners can get loans to pay off their tax debt. This can be done through traditional means like a personal line of credit, a home equity loan, or even by using a credit card. While a traditional loan may be secured or unsecured, it is entirely separate from a lien on your home. If you have less than perfect credit, getting such a loan may be difficult or you may pay an extremely high interest rate. In Texas, the terms “tax loan” and “lien transfer” are often used interchangeably, and for good reason. While it may seem confusing at first, because of the unique method of property tax collection in the state of Texas, a lien transfer is often preferable to a more traditional loan, and is definitely preferable to being delinquent on your property taxes and facing the consequences of a government lien on your property. When your property taxes are due, the governmental taxing agency has a lien on your property so that, were you to sell it, the taxing agency would get the amount you owe them first, before your bank or any other lender who has a lien on your home gets paid. A lien transfer is simply moving the government’s right to that lien to a third party, or a property tax lender. That lender then has the same rights the government did, but with one vital difference. The property tax lender pays off your property taxes on your behalf, and you enter a payment arrangement with them. Most of the time, this is at a lower interest rate than many other alternative loans, and you can get assistance even if you have a less than perfect credit score. The lender also does not charge you the fees and interest charged by the state should your taxes become delinquent. Being delinquent on your taxes can raise your tax bill significantly. After incurring the penalties, interest, and attorney fees imposed on July 1st, and the possible additional penalties if your account goes into a tax suit, a property owner could face a bill that is 50% larger after only one year. Tax delinquency for just a few short years can result in an extremely large bill that would be difficult if not impossible for most individuals or businesses to pay. In recent years, the tax lien industry has become highly regulated and reliable, and it is seen as a necessary industry by many Texas residents. Excessive tax delinquency can even lead to foreclosure, often for fractions of the value of the property. Property tax lending lets owners avoid this scenario, and gives them more payment options and ways to renegotiate payments if they fall behind. Lien transfers are a form of tax lending, but often provide better options and lower interest rates for property owners in Texas. A lien transfer is a far better alternative to delinquency, and saves those who utilize this service thousands of dollars every year.